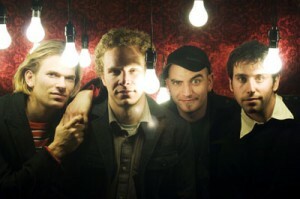 The Rundown: Zox, from Providence, Rhode Island, calls themselves “violin-laced Reggae Rock”. 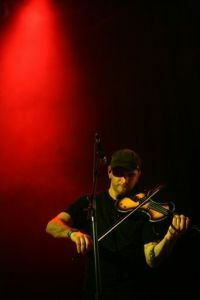 The band, consisting of John Zox, Eli Miller, Spencer Swain, and Dan Edinberg, are most notable for having an electric violin present in nearly all of their songs. Formed in 2002, this unique band released their first album, “Take Me Home” in 2003 and followed that up with the release of “The Wait” (2006) and “Line In The Sand” (2008). 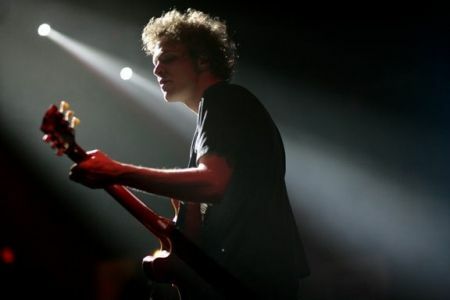 The band is currently on hiatus, with no time-frame for a break from their break. Zox has the ability to do what very few bands are able to do with an audience. When the first note of the first song is struck on the violin, ears immediately perk forward like a cat. People in the audience start to look at one another asking, “Is this for real?”. Before anybody has any time to answer the questions that come flooding into their minds, Spencer Swain is tearing it up on the violin, demanding that you pay attention to the sound. When the last note of the last song finally rings out, the audience is ecstatic, demanding an encore. At the same time, the audience is exhausted. Never before have they heard such an amazing combination of sounds. Never before have they jumped, danced, and applauded for complete strangers. Never before have they been so enthralled by a band they’d never heard of that, to them, time stood still. Yup, Zox will do that to you. At least that was my experience back in 2003. In fact, I was in a band at the time and shared a stage with this amazing band. Thankfully, we went on before Zox did. There’s no way anyone was topping that performance that night. I was also fortunate enough to get a CD signed by all the members of the band. Not a person in the crowd that night was disappointed with what they had just saw. In fact, people were completely amazed and perplexed at what they had just heard; you could see it on their faces. The look of shock and disbelief that a band, whose center-piece was a violin, could rock out that hard. It was truly a night I will not soon forget. Zox’s first album, “Take Me Home”, didn’t garner near the attention that their ensuing albums did. But for my taste, I thought it was their best album. You never knew what you were going to get from song to song. Sometimes it was a quick paced, violin-laced, soft-rock eargasm. Other times it was a slow, gentle, violin-laced “thinking” song. No matter how you describe their music from that album, you were undoubtedly pleased. To top things off, all four of these young gents are standup guys. They were quite fun to hang around with, both before and after the show. They were very fan friendly, and answered all the questions thrown at them about their band, the violin, etc. Now, before you go running out to buy all their albums, let me just issue these words of caution. If you have never seen them play live, listen to their songs, and then go to a show, be prepared to be totally blown away. If, on the other hand, you happen to hear them live, are totally blown away, and then buy their CDs thinking how much fun it will be to be totally blown away like that every day, you will be a little disappointed. While their studio sound is still quite impressive, it is nothing compared to their stage sound. This is one of the few bands that is actually better live. That is no easy feat to accomplish, ask any band.